There is a very important aspect of the whole search system of truffles that many ignore, and that gives it a quite desirable added value: for once, the interests of man and their fulfillment are sustainable. Usually, in any operation of agriculture or production of daily goods, men leave a negative mark on nature even when they’re trying to limit the damage. This magical, capricious hypogeal mushroom changes the game: the ecosystem in which it develops requires very high biodiversity standards; man is forced not only to maintain the environment as it is, but to safeguard it. Therefore, with the market in constant growth, people start working on an environmental plan to create new reserves, new habitats suitable for its growth. And although the goal is purely economic, the vehicle to reach it is fortunate for the world. Each species of truffle has specific needs regarding the soil. A common factor found in any suitable terrain is the presence of abundant calcium, reason why our lands are so lucky. As many know, in fact, this region was originally occupied by the sea, rich in carbonate (limestone). The same soils that characterized the seabed at the time, are those that are suited today not only for truffles, but also for viticulture, in which carbonate is a key element, essential to achieve the recognized quality of our productions. 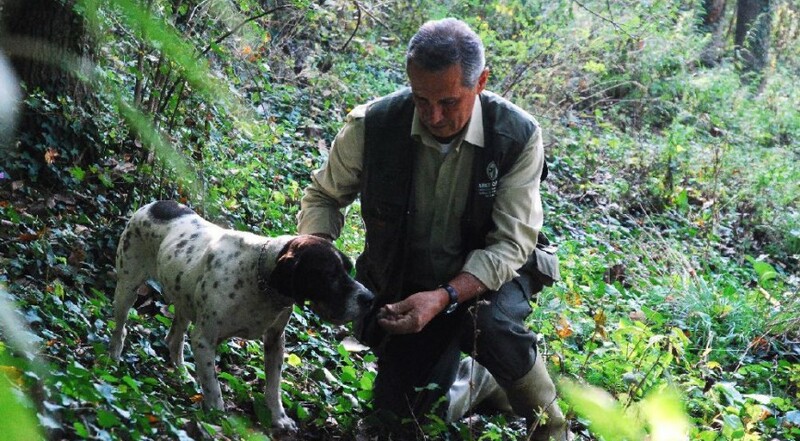 Very often, in fact, the areas dedicated to truffles coincide with those that give life to great wines. But this particular fungus is unpredictable: it can grow wherever the root system of a congenial tree is found, even in a vineyard, where a pole of willow or oak has taken root thanks to the infinite resources of nature. This variety is certainly the most difficult and demanding. On the other hand, its price greatly exceeds that of any other, and its fame has conquered the world and attracts visitors from everywhere. For its development the soil must be silty, relatively fertile, and with a correct balance between clay and sand. Altitude is also important: it is very rare above 600-700 meters. The best habitats are the invading woods, previously cultivated areas left to themselves, but which have not yet reached the level of total filling of the spaces. 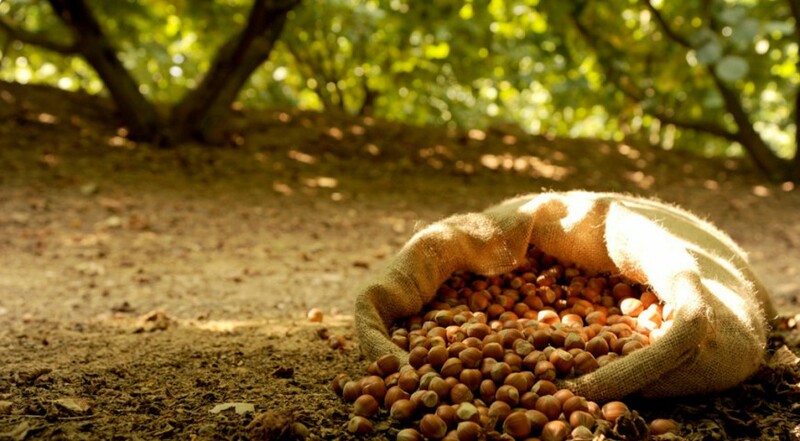 The clues to look for are plants of hazelnuts, poplars, oaks, which however do not appear too “strait-laced”. Man does not create a truffle, he can only put together the right conditions for its development. Unlike the white truffle, the black one adapts to different areas, provided they are rich in calcium. It prefers poor soils, rich in gravel and pebbles, but also in the locations of the white one it grows without difficulty. Scorzone, or black summer truffle, is equally versatile. However, it does not like the dense and shady wood, and it binds well to isolated trees or along the watercourses. Another thing that few people know about truffles is that, although its development is difficult and delicate, it happens that it grows in the least suspicious place: in the city center. Alba in particular can boast several “urban” truffle fields, which are hidden under the eyes of everyone in the streets of the center. We usually mean public gardens, parks and flowerbeds, but it is possible to find them under walls or sidewalks. This strange situation is due to the fact that, in the land of inhabited centers, rubble rich in carbonate mixes with the ground, slowly dissolving and releasing high content of calcium, which as we have seen previously is the number one companion of the truffle.